NTU opened up new paths for me, and the experiences I have gained throughout my time here are invaluable. 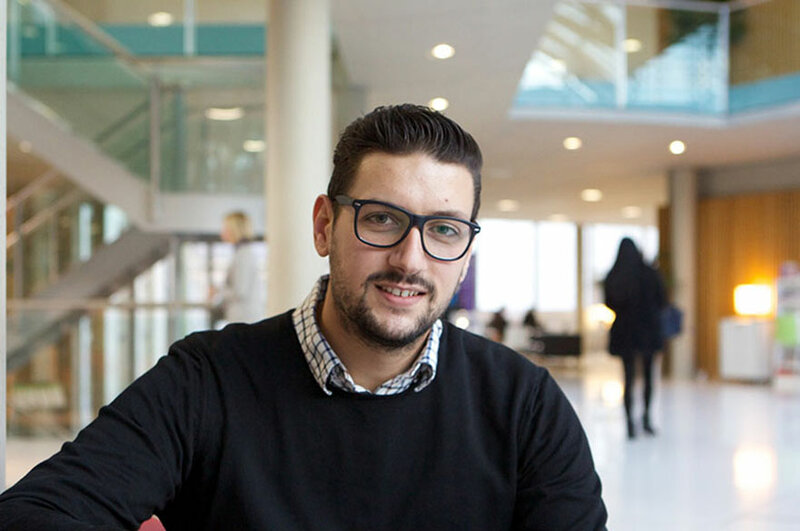 "The modules and content on my chosen course were the major drive for me to join Nottingham Business School . I also contacted NBS prior to starting my course and the attention I was paid by all the members of staff I contacted made me feel that they were genuinely interested in satisfying all of my concerns. The cultural diversity was also very important to me because you get an insight on how things are done in other cultures and in other civilisations. "I really enjoyed the seminars as they are designed in such a way that no question is left unanswered. Tutors have been really supportive throughout the year in regards to the course, many times responding out of office hours just to assist me with my queries. In terms of learning resources, I am really happy with what NBS offers and with the support they give. The librarians are really helpful and the online resources are sufficient. "I also enjoy the interaction we had with live briefs and real organisations. Experiencing real life situations and having to come up with answers to real-world business problems is much more intriguing than made-up case studies because it makes you feel that what you are doing has a point. "I achieved a number of things throughout my time at NBS. First of all, being selected to represent my University (along with a group of six more people) in the SEAT brief was a major thing for me, as I felt that my tutors trusted in me and my abilities. Also I have been selected in the top 30 students amongst over 1,000 applications from all UK Universities to participate in a Summer School organised by the Institute of Direct Marketing. The 30 students that have been selected will undergo a week-long seminar that takes the form of a residential course at the Institute of Direct and Digital Marketing in Teddington, south west London called the Barry Spelling Summer School. It is Sponsored by RAPP (one of the world’s leading integrated marketing agency network)and through the Summer School they offer networking opportunities with companies such as Coca-Cola, O2, OglivyOne, Interbrand, Geronimo and many more. "NTU opened up new paths for me, and the experiences I have gained throughout my time at NTU are invaluable. I have gained deep knowledge in the field of marketing, and when that knowledge is combined with the live briefs and projects I have handled, I am fully equipped to start my career as a Marketing Professional without any fear of failing. "After graduating from the MSc Marketing (Advertising and Communications) course, I was offered a position in the Marketing Department of Easy-Forex. I am currently the global marketing communication coordinator for Easy-Forex, dealing daily with visual production, promotions, press releases, text localisation (we currently offer 12 languages), email and online marketing campaigns as well as social media channels (Facebook, Twitter, Pinterest and blogging). "I am hugely thankful to NBS, without whom I would not be where I am today. The knowledge I gained from my professors and the assignments combined with the practical experience I gained through the live briefs, and the work experience with SEAT and Nottingham Forest Football Club gave me the tools to be both an attractive and successful candidate in the market place."